A few months ago, Chloe attended a birthday party that was held at a local grocery store. She made her own pizza and decorated a cupcake and had a really fun time being “in the kitchen”. It was surprising to me, how much she enjoyed it! Since then, I’ve been looking for ways to get her more involved at meal time - because when they help more, they eat more, right? At least that’s what I’m hoping for! 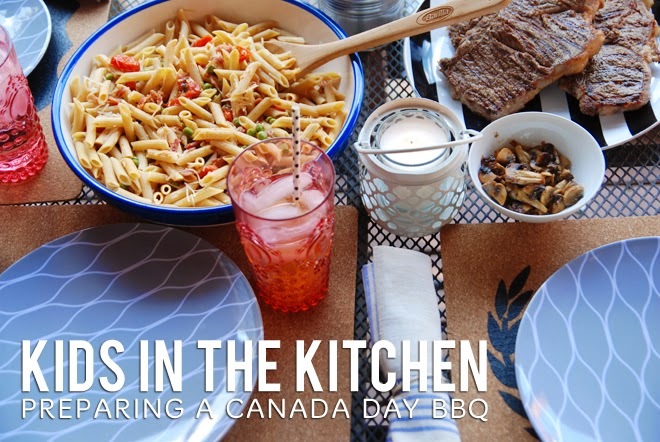 Barilla asked me to share a Canada Day BBQ meal with you (mmm, bbq!) so I thought I’d also share ideas on how to get the little ones involved in preparing that meal. Give them their own utensils. When I saw this cow-shaped cutting board, I knew Chloe would love using it so I grabbed it and ran to the cash register. I also bought her a wavy vegetable cutter from a restaurant supply store. The small handle and dull blade make it extremely kid friendly and she feels confident using it. By providing her with her own kitchen tools, she feels more involved and willing to help in the kitchen. 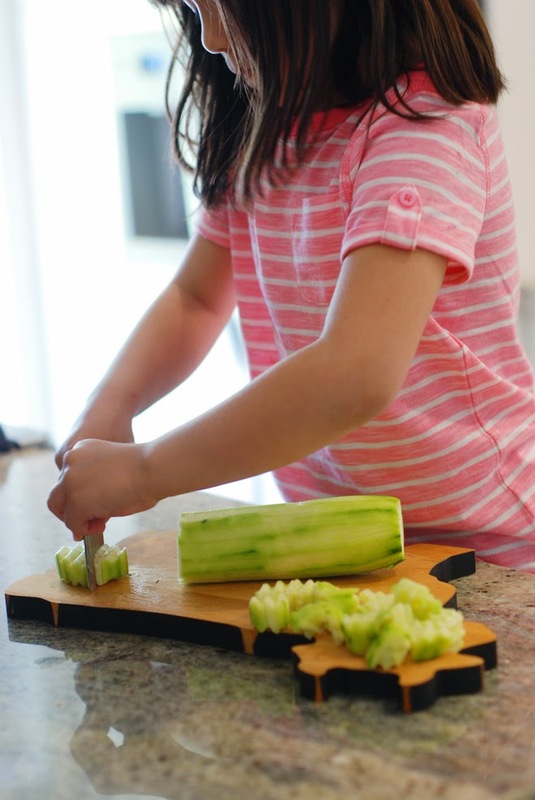 Chloe is now my salad sous chef and regularly cuts up the cucumbers and mushrooms with her trusty cutter. 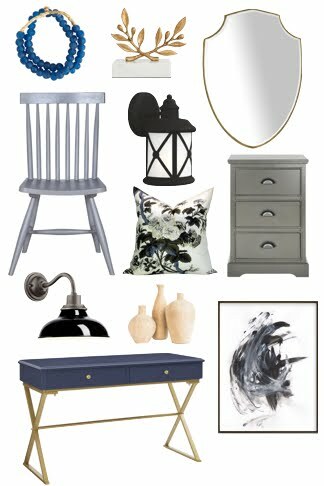 Give them the shopping list. What child doesn’t love to be in charge and cross the items off the shopping list? I’ve found this especially effective in keeping a little one occupied and sitting in the cart (as opposed to running off to the ice cream aisle!). 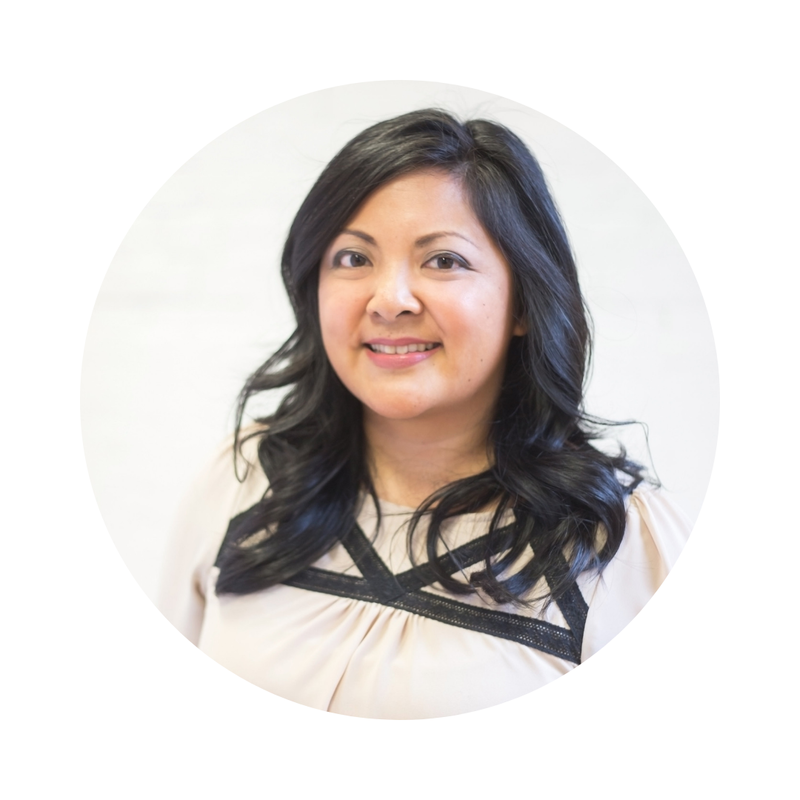 Plus, kids are really good at helping you stick to your budget by making sure YOU don’t put any extras in the cart. Have your child set the table. 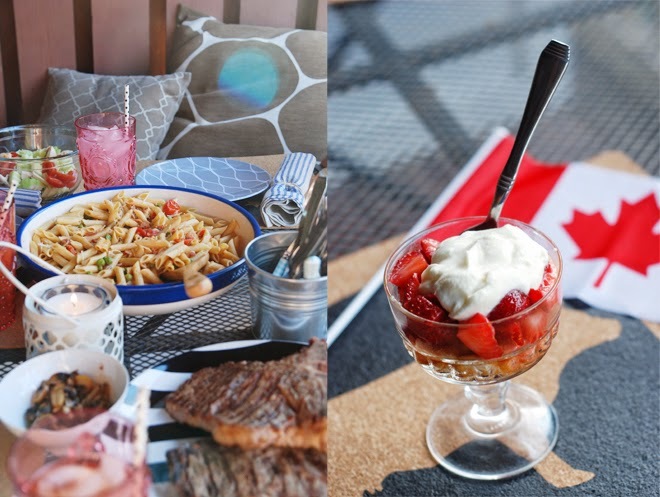 A Canada Day BBQ is a great reason to decorate the table. 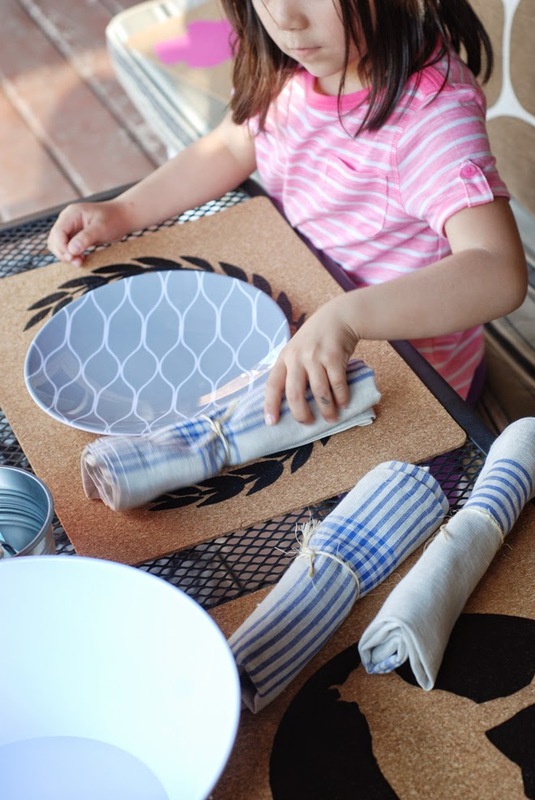 Get your child to help you shop your house and gather the plates and serving dishes you’ll use. 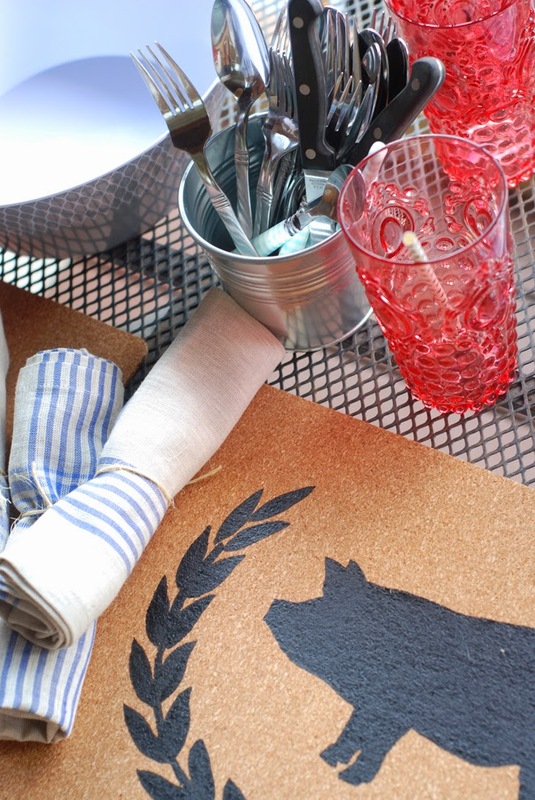 We set the table with outdoor melamine dishes and our DIY cork placements. I love the raspberry hue of these plastic glasses - perfect for Canada Day! Enlist their help in the kitchen. 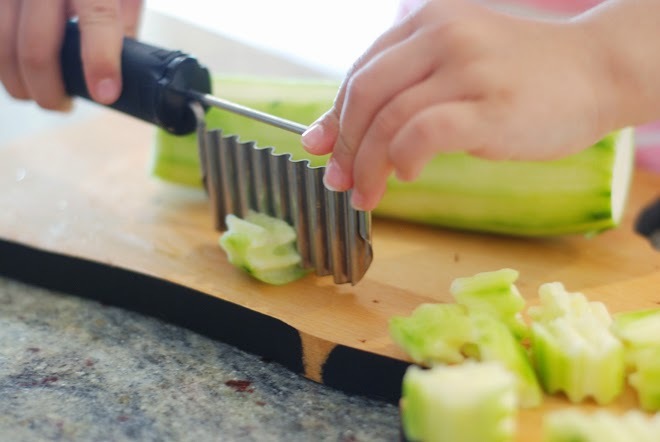 Even the youngest of children can help with simple kitchen tasks. Washing the vegetables, cracking eggs, or whisking the vinaigrette are easy tasks that involve relatively little mess. You’ll be teaching them valuable kitchen skills and showing them that mealtime prep can be fun. Chloe ate a little bit of steak and asked for a second helping of the pasta so I’d call this meal a success. We ended the night with this easy (and oh so delicious) red & white strawberry shortcake. Can’t get more Canadian than that! Tell me, do your kids help in the kitchen? 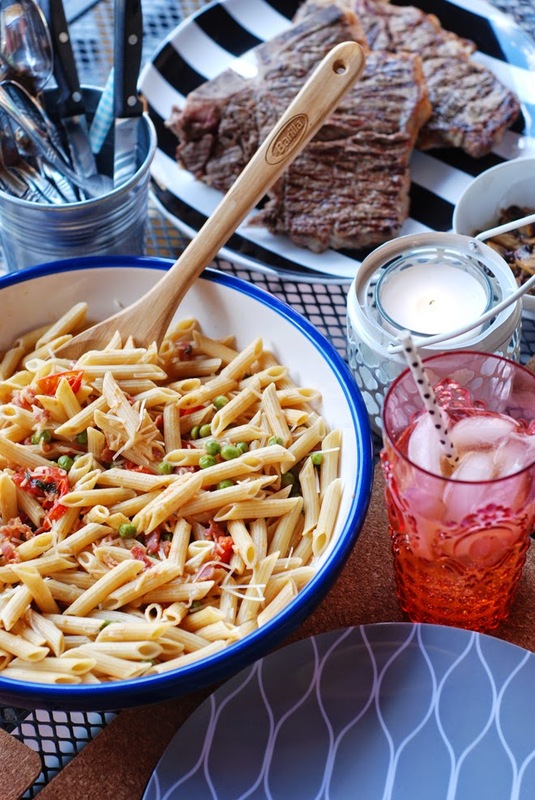 Or any favourite kid-friendly meals you want to share?